Game expansions, a copy of Sword & Sorcery is required to use these products. Expand your game experience by defending the Talon Coast with these new Hero Packs! 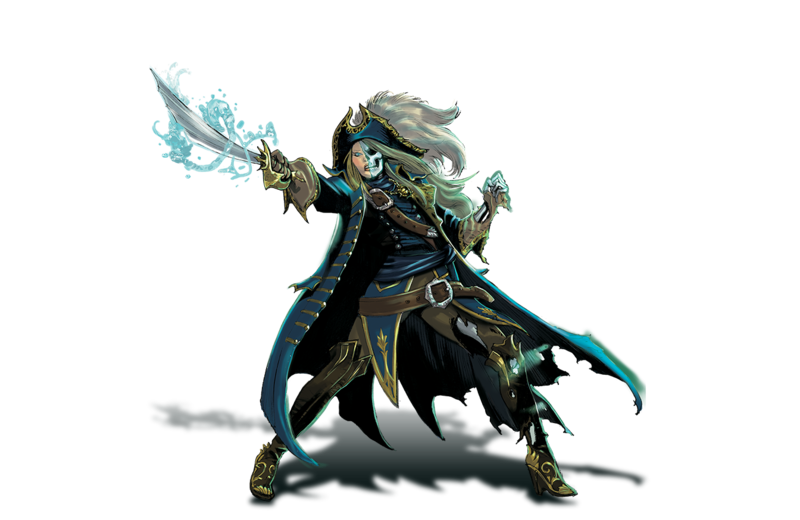 the fighter siren, the cursed captain or piratess of the 7 seas. 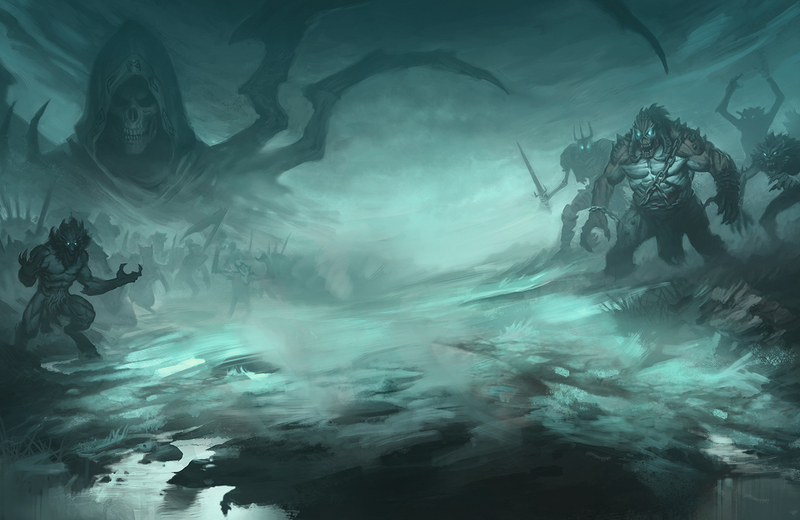 Add a new, powerful character to your Sword & Sorcery® campaign with this Hero Pack! 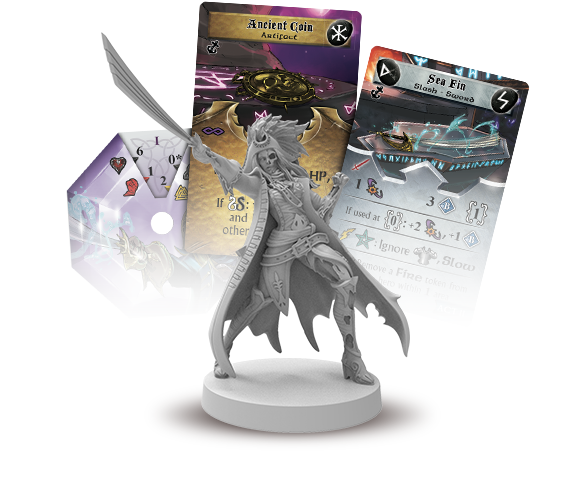 Sometimes, heroes are shadowy figures dabbling in the dark arts or renegades from their kin… Ancient mariner of the Talon Coast and legend of the 7 seas — Victoria can be played as either a Lawful Captain or a Chaotic Pirate. As a Captain, Victoria was a skilled fencer and sailor. She battled a notorious pirate and captured his stolen gold — only to find out it was cursed. The power of this ancient spell has changed Victoria’s life forever — she is a great Captain during daytime… but a cursed soul at night. As a Pirate, Victoria soon proved to be a skilled fighter, killing her first enemy when she was only 11. She sailed in search of a fabulous treasure… but the curse of that stolen gold changed Victoria forever — she is a Pirate during daytime… but a damned soul at night. 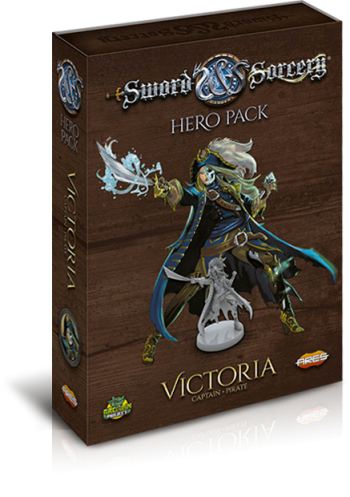 This Hero Pack features two miniatures of Victoria (normal and Ghost Soul form), her Soul Gem, and new cards — including legendary treasures such as the sword, Sea Fin, and the powerful but cursed Ancient Coin.